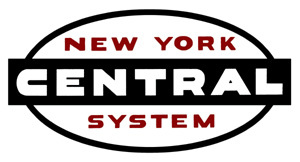 Sunday River Productions "New York Central Set"
“New York Central 3-Set” – save money on shipping by purchasing all three of the above videos as a set. 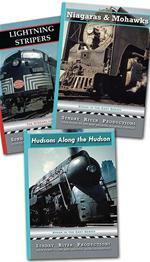 NYCSHS members $75.88; non-members $94.85 with free shipping for US customers. Ohio residents add 8% Ohio sales tax. Sunday River Productions "Hudsons Along the Hudson"
Sunday River Productions "Niagaras and Mohawks"
Herron Video "Niagara's Last Stand"